This list of recommended books is based on my recommended reading list for new Freemasons, but I’ve adapted it for non-Masons who are curious and want something good to read. Take a look, find a book, and enjoy! Freemasonry’s history is confusing, and even the history of its history is confusing. Fortunately, over the past few decades, real historians have been digging in to fraternal history and producing some incredible results. Learn the true story – or as much of it as we’ve been able to figure out – in these books. The Freemasons: A History of the World’s Most Powerful Secret Society by Jasper Ridley (Arcade Publishing, 1999): This is not an exciting book. It focuses on real history for a real audience, and will give you the basics of what we know about Freemasonry. There are no fanciful legends of the Knights Templar or Atlantis, just real, proveable history. The Origins of Freemasonry: Scotland’s Century 1590-1710 by David Stevenson (Cambridge University Press, 1988): Stevenson finds the actual historical roots of modern Freemasonry, and it does a convincing job. It’s written for historians, so it’s a little more dense and dry, but it lays the foundation for some of the most incredible stuff we know about the Craft – including the transformative personal growth so many of us are looking for. Secret Societies in America: Foundational Studies of Fraternalism ed. William D. Moore and Mark A. Tabbert (Cornernstone, 2011): This book helps you understand what Freemasonry means to America. Why does Freemasonry seem to be intertwined in so many American institutions? Why are there fraternal buildings crumbling in every small town? 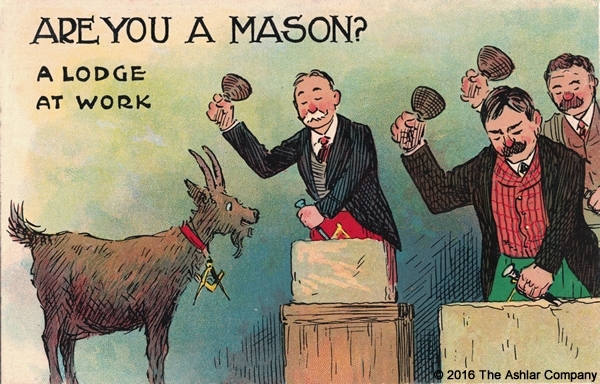 What is your place in modern Freemasonry and fraternal America? The Golden Builders: Alchemists, Rosicrucians, and the First Freemasons by Tobias Churton (Weiser, 2005): There is a lot of really unusual stuff in Freemasonry’s history. Our early influences are woven throughout the rich tapestry of the Western Mystery Tradition. This book explores pre-Masonic movements that probably shaped the Craft’s earliest lodges and beliefs. The Theosophical Enlightenment by Joscelyn Godwin (SUNY Press, 1994): Godwin’s masterpiece of the religious revival in the West looks at how spirituality and religion exploded into new levels of complexity and depth during the last few centuries. Freemasonry is a living part of this revival, and this book will explore many names and topics which are familiar to the curious brother. 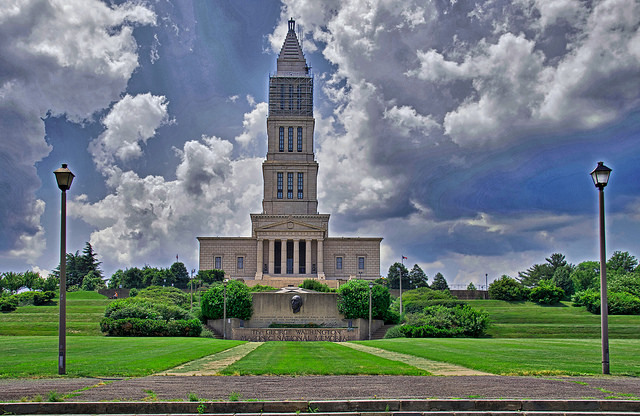 The George Washington Masonic National Memorial in Alexandria, Virginia. Photo credit Ron Cogswell on Flickr. The symbols of Freemasonry fascinate both members and outsiders. They definitely lend a lot to the mystery surrounding the Craft. However, a lot of them have very simple surface meanings. These books explore both the basics of the symbols and some of the amazing artwork surrounding Masonic symbolism. The Craft and Its Symbols: Opening the Door to Masonic Symbolism by Allen E. Roberts (Macoy Publishing and Masonic Supply Co, 1974): This is a basic, straightforward introduction to Masonic symbolism. Freemasonry: A Journey Through Ritual and Symbol by W. Kirk MacNulty (Thames & Hudson, 1991): This beautiful volume is eye-candy about Freemasonry. It’s filled with classical and modern Masonic artwork, and as a bonus, it was written by noted Masonic scholar W. Kirk MacNulty. Freemasonry definitely has a philosophical message, mostly based around the importance of leading a virtual, ethical life. Here are some excellent books that explore Masonry’s core teachings. The Meaning of Masonry by W.L. Wilmshurst (Revised edition, Plumbstone, 2007): If you are curious about the esoteric underpinnings of the Craft, start here. Wilmshurst is a classic, and his approach to Freemasonry is both beautiful and moving. The Builders: A Story and Study of Masonry by Joseph Fort Newton (George H. Doran, 1914): Sometimes overlooked, Newton’s approach to the meaning of Freemasonry is deep and timeless. Since it’s out of copyright, this book is widely available online. The Spirit of Masonry by William Hutchinson (1775): This is a collection of classic, essential Masonic orations from the 18th century. It is easy to find free copies of this book online – it is long out of copyright. There is an esoteric side to Freemasonry, and it has both new and ancient elements. Benjamin Franklin’s The Art of Virtue: His Formula for Successful Living ed. George L. Rogers (ChoiceSkills, 2011): While Freemasonry encourages its members to become better and more virtuous, it doesn’t tell us exactly how. Benjamin Franklin did, in fact, lay out a method for improving virtue in his autobiography. Rogers has done a great job compiling and annotating Franklin’s art of virtue. Contemplative Masonry: Basic Applications of Mindfulness, Meditation, and Imagery for the Craft by C.R. Dunning (Stone Guild, 2017): This is the premier book for developing the inner spiritual work of Freemasonry. We’ve interviewed Bro. Dunning a few times over at My Alchemical Bromance. Do you have other books to recommend, or questions about Freemasonry? Leave me a comment below. I’d love to hear from you and I’ll definitely share my opinions about that weird Masonic book you picked up at that creepy old guy’s garage sale. Let’s see if it’s great, or if it’s bogus! Did you like this article? Support my work on Patreon!